For courses in introductory calculus-based physics. MasteringPhysics from Pearson is the leading online homework, tutorial, and assessment system, designed to improve results by engaging students before, during, and after class with powerful content. Instructors ensure students arrive ready to learn by assigning educationally effective content before class, and encourage critical thinking and retention with in-class resources such as Learning Catalytics. Students can further master concepts after class through assignments that provide hints and answer-specific feedback. The Mastering gradebook records scores for all automatically graded assignments in one place, while diagnostic tools give instructors access to rich data to assess student understanding and misconceptions. Mastering brings learning full circle by continuously adapting to each student and making learning more personal than ever–before, during, and after class. NEW! Chapter ordering changes allow instructors to more easily organize content as needed to accommodate labs, schedules, and different teaching styles.Work and energy are now covered before momentum, oscillations are grouped with mechanical waves, and optics appears after electricity and magnetism. NEW! Addition of advanced topics as optional sections further expands instructors’ options. Topics include rocket propulsion, gyroscopes and precession, the wave equation (including for electromagnetic waves), the speed of sound in gases, and more details on the interference of light. Builds problem-solving skills and confidence, using an explicit, methodical, and consistent approach. NEW! Model boxes enhance the text’s emphasis on modeling—analyzing a complex, real-world situation in terms of simple but reasonable idealizations that can be applied over and over in solving problems. 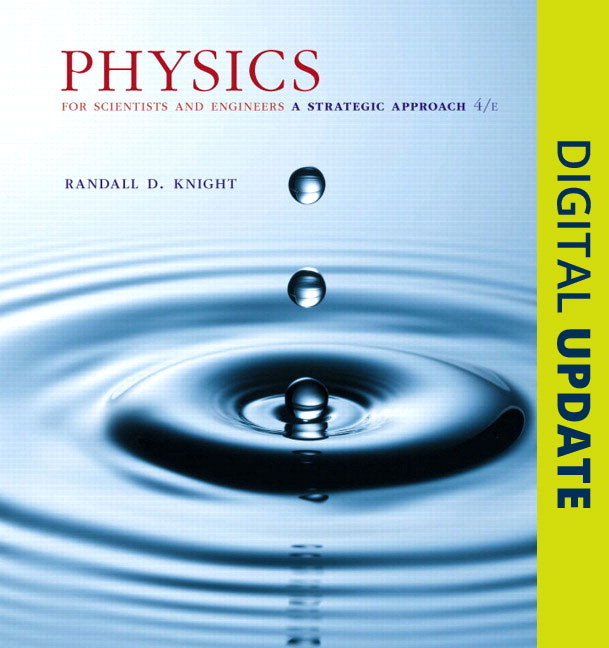 These fundamental simplifications are developed in the text and then deployed more explicitly in the worked examples, helping students to recognize when and how to use recurring models (such as motion with constant acceleration or the photon model of light). A consistent 4-step approach provides a problem-solving framework throughout the book (and all supplements): students learn the importance of making assumptions (in the MODEL step) and gathering information and making sketches (in the VISUALIZE step) before treating the problem mathematically (SOLVE) and then analyzing their results (ASSESS). Detailed problem-solving strategies for different topics and categories of problems (circular-motion problems, calorimetry problems, etc.) are developed throughout the book, each one built on the above 4-step framework. Tactics Boxes give step-by-step procedures for developing specific skills (drawing free-body diagrams, using ray tracing, etc.). Worked examples follow the 4-step strategy and include careful explanations of the underlying, and often unstated, reasoning. The Student Workbook provides straightforward confidence- and skill-building exercises, bridging the gap between worked examples and end-of-chapter problems. Worksheets following the MODEL/VISUALIZE/SOLVE/ASSESS framework provide tear-out templates for students to follow when practicing solving dynamics, energy, and momentum problems. Promotes a deeper and better-connected understanding, using a structured learning path and an inductive approach with exceptional clarity. REVISED! Enhanced Chapter Previews have been reconceived to address the questions students are most likely to ask themselves while studying the material for the first time. Questions cover the important ideas, and provide a big-picture overview of the chapter’s key principles. NEW! Looking Back Pointers enable students to look back at a previous chapter when it’s important to review concepts. Pointers provide the specific section to consult at the exact point in the text where they need to use this material. UPDATED! Focused Part Overviews and Knowledge Structures consolidate understanding of groups of chapters and give a tighter structure to the book as a whole. Reworked Part Overviews and Knowledge Structures (one per page) provide more targeted detail on overarching themes. Unique and critically acclaimed visual chapter summaries consolidate understanding by providing each concept in words, math, and figures and organizing these into a vertical hierarchy—from General Principles (top) to Applications (bottom). New concepts are introduced through observations about the real world and theories grounded by making sense of observations. This inductive approach illustrates how science operates, and has been shown to improve student learning by reconciling new ideas with what they already know. Special attention is given to address known misconceptions and areas that have been proven to cause difficulties, ranging from including a separate chapter on Newton’s Third Law, to individual “NOTE” paragraphs throughout that guide students away from known preconceptions and around common sticking points, and highlight many math- and vocabulary-related issues. Stop to Think questions at the end of a section allow students to quickly check their understanding. Using powerful ranking-task and graphical techniques, they are designed to efficiently probe key misconceptions and encourage active reading. Answers are grouped by chapter at the end of the text. Hand-drawn sketches are incorporated into select worked examples to provide a clear model of what students should draw during their own problem solving. Pioneers the implementation of proven visual techniques that cognitive science has shown significantly increase engagement, assimilation, and retention of science concepts. UPDATED! Visual program has been enhanced with over 500 pieces of revised art that increase the focus on key ideas, eliminating extraneous detail, information, and color. A hallmark of Knight since the beginning, figures are streamlined to focus on the physics at hand, for example, using the same color for the object of interest in mechanics, or by using the same color for force throughout the text. Explicit instruction as annotations directly on figures helps students to interpret figures and graphs. Extensive use is made of multiple representations—placing different representations side by side to help students develop the key skill of translating between words, math, and figures. Essential to good problem solving, this skill is overlooked in most physics textbooks. Analogy is used throughout the text and figures to consolidate student understanding by comparing with a more familiar concept or situation. Draws on nationwide student metadata to optimize assessment and practice material. Analysis of national student metadata (including time spent, most common wrong answers, and comment rate) has allowed every problem to be enhanced for educational effectiveness and accurately calibrated in difficulty (in the book) and duration (in MasteringPhysics®). Similar analysis has allowed problem sets in every chapter to be revised to ensure ideal topic coverage, balance of qualitative and quantitative problems, and range of difficulty and duration. NEW! Significantly revised end-of-chapter problem sets include more challenging problems that will expand the range of physics and math skills students will use to solve problems—a new icon for calculus-based problems is included. Conceptual Questions require careful reasoning and can be used for group discussions or individual work. Exercises (for each section) allow students to build up their skills and confidence with more straightforward questions. The Fourth Edition includes a greater proportion of section-specific exercises compared to general problems, by popular demand. Problems (spanning concepts from the whole chapter) require in-depth reasoning and planning, allowing students to practice their problem-solving strategies. Context-rich problems require students to simplify and model more complex real-world situations. Specifically labeled problems integrate concepts from multiple previous chapters. Challenge Problems push the best students even further. Difficulty ratings, given for all exercises and problems,are based on MasteringPhysics student data, and thus allow instructors to build a homework assignment with their desired range of difficulties. The revised Workbook is tightly integrated with the main text–following the same textbook strategies, and is explicitly referenced throughout the text. NEW! Interactive Prelecture videos address the rapidly growing movement toward pre-lecture teaching and flipped classrooms. These whiteboard-style animations provide an introduction to key topics with embedded assessment to help students prepare before lecture and to help professors identify student misconceptions. NEW! Dynamic Study Modules (DSMs) help students study on their own by continuously assessing their activity and performance in real time. Students complete a set of questions with a unique answer format that also asks them to indicate their confidence level. Once completed, Dynamic Study Modules explain the concept for each correct and incorrect answer. Questions repeat until the student can answer them all correctly and confidently. The content of DSMs focuses on definitions, units, and the key relationships for topics across all of mechanics and electricity and magnetism. Additional early modules cover basic math, algebra, scientific notation, and other background topics and are available as graded credit, extra credit, or practice assignments prior to class. Prelecture Reading Questions check students’ familiarity with key concepts, prompting them to do their assigned reading before class. Additional open-ended questions help students identify the topics they found most difficult and assist instructors with “just-in-time” teaching. NEW! Enhanced End-of-Chapter Questions offer students instructional support when and where they need it including links to the eText, Video Tutor Solutions, math remediation and wrong-answer feedback for homework assignments. NEW! Prep questions aligned with the new 2015 MCAT exam are based on the Foundational Concepts and Content Categories outlined by the Association of American Medical Colleges. 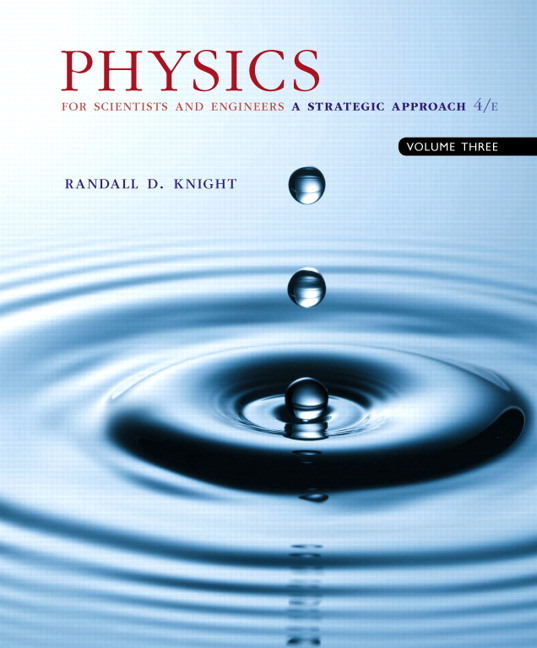 This blend of 140 new passage problems and physics problems in a biology context are assignable in MasteringPhysics. UPDATED! Video Tutor Demonstrations feature “pause-and-predict” demonstrations of key physics concepts and incorporate assessment with answer-specific feedback to actively engage students in understanding key conceptual ideas. 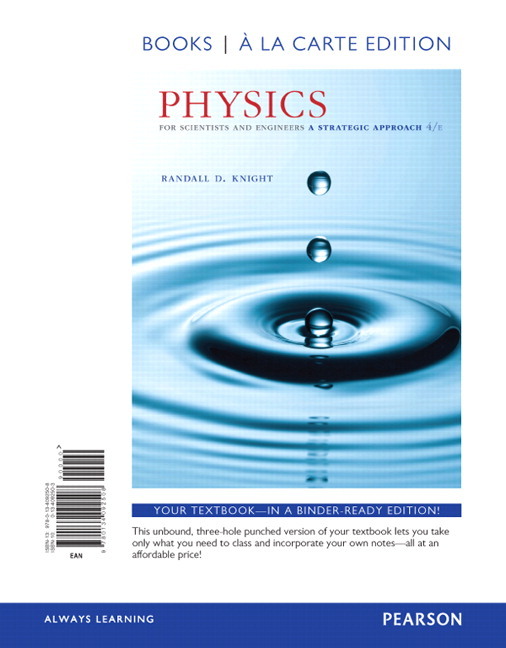 Tutorials, featuring specific wrong-answer feedback, hints, and a wide variety of educationally effective content, guide your students through the toughest topics in physics. The hallmark Hints and Feedback offer instruction similar to what students would experience in an office hour, allowing them to learn from their mistakes without being given the answer. Adaptive Follow-Ups are personalized assignments that pair Mastering’s powerful content with Knewton’s adaptive learning engine to provide individualized help to students before misconceptions take hold. These adaptive follow-ups address topics students struggled with on assigned homework, including core prerequisite topics. Video Tutor Solutions created by Randy Knight’s College Physics co-author Brian Jones are an engaging and helpful walkthrough of worked examples designed to help students solve problems for each main topic. Starting with a qualitative overview in the context of a lab- or real-world demo, Brian then carefully explains the steps needed to solve a typical problem, using white-board animations and questions to actively engage the student. Select VTSs are provided as optional links in related EOC problems, as well as in the Study Area. Gradebook Diagnostics: With a single click, charts summarize the most difficult problems, vulnerable students, and grade distribution allowing for “Just-in-time” teaching to address student misconceptions. Chapter ordering changes allow instructors to more easily organize content as needed to accommodate labs, schedules, and different teaching styles.Work and energy are now covered before momentum, oscillations are grouped with mechanical waves, and optics appears after electricity and magnetism. Addition of advanced topics as optional sections further expands instructors’ options. Topics include rocket propulsion, gyroscopes and precession, the wave equation (including for electromagnetic waves), the speed of sound in gases, and more details on the interference of light. Model boxes enhance the text’s emphasis on modeling—analyzing a complex, real-world situation in terms of simple but reasonable idealizations that can be applied over and over in solving problems. These fundamental simplifications are developed in the text and then deployed more explicitly in the worked examples, helping students to recognize when and how to use recurring models (such as motion with constant acceleration or the photon model of light). Looking Back Pointers enable students to look back at a previous chapter when it’s important to review concepts. Pointers provide the specific section to consult at the exact point in the text where they need to use this material. UPDATED! Visual program has been enhanced with over 500 pieces of revised art that increase the focus on key ideas, eliminating extraneous detail, information, and color. A hallmark of Knight since the beginning, figures are streamlined to focus on the physics by, for example, using the same color for the object of interest in mechanics, or by using the same color for force throughout the text. Significantly revised end-of-chapter problem sets include more challenging problems that will expand the range of physics and math skills students will use to solve problems—a new icon for calculus-based problems is included. MasteringPhysics from Pearson is the leading online homework, tutorial, and assessment system, designed to improve results by engaging students before, during, and after class with powerful content. Instructors ensure students arrive ready to learn by assigning educationally effective content before class, and encourage critical thinking and retention with in-class resources such as Learning Catalytics™. Students can further master concepts after class through assignments that provide hints and answer-specific feedback. The Mastering gradebook records scores for all automatically graded assignments in one place, while diagnostic tools give instructors access to rich data to assess student understanding and misconceptions. Interactive Prelecture videos address the rapidly growing movement toward pre-lecture teaching and flipped classrooms. These whiteboard-style animations provide an introduction to key topics with embedded assessment to help students prepare before lecture and to help professors identify student misconceptions. Dynamic Study Modules (DSMs) help students study on their own by continuously assessing their activity and performance in real time. Students complete a set of questions with a unique answer format that also asks them to indicate their confidence level. Once completed, Dynamic Study Modules explain the concept for each correct and incorrect answer. Questions repeat until the student can answer them all correctly and confidently. The content of DSMs focuses on definitions, units, and the key relationships for topics across all of mechanics and electricity and magnetism. Additional early modules cover basic math, algebra, scientific notation, and other background topics and are available as graded credit, extra credit, or practice assignments prior to class. Enhanced End-of-Chapter Questions offer students instructional support when and where they need it including links to the eText, Video Tutor Solutions, math remediation and wrong-answer feedback for homework assignments. Prep questions aligned with the new 2015 MCAT exam are based on the Foundational Concepts and Content Categories outlined by the Association of American Medical Colleges. This blend of 140 new passage problems and physics problems in a biology context are assignable in MasteringPhysics. 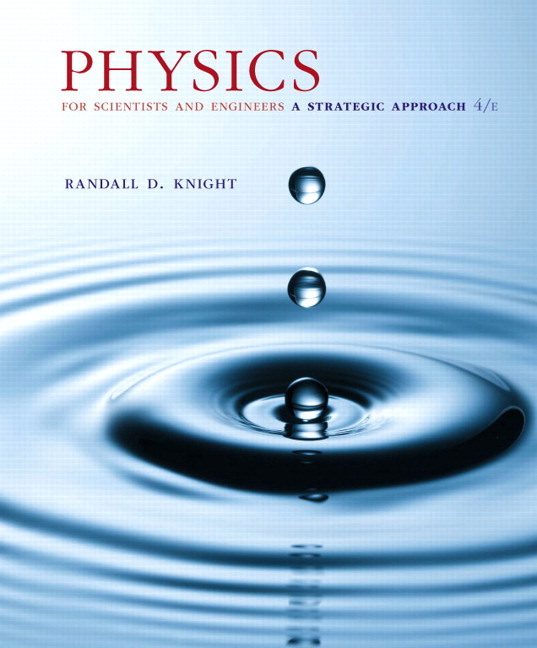 Randy Knight taught introductory physics for 32 years at Ohio State University and California Polytechnic University, where he is Professor Emeritus of Physics. Professor Knight received a Ph.D. in physics from the University of California, Berkeley and was a post-doctoral fellow at the Harvard-Smithsonian Center for Astrophysics before joining the faculty at Ohio State University. 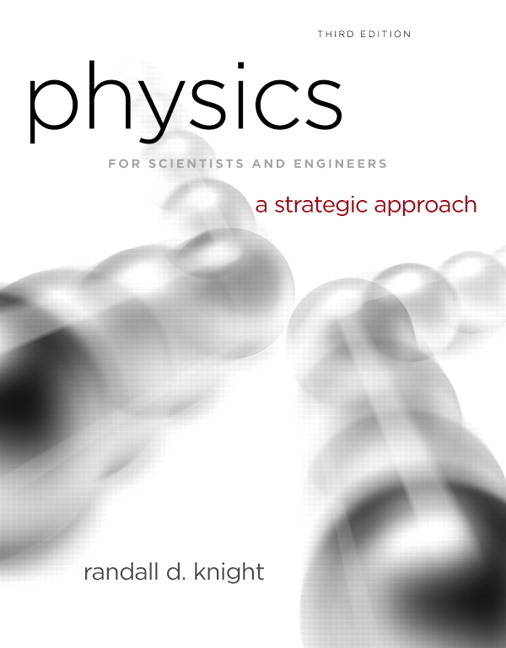 It was at Ohio State that he began to learn about the research in physics education that, many years later, led to Five Easy Lessons: Strategies for Successful Physics Teaching and this book, as well as College Physics: A Strategic Approach, co-authored with Brian Jones and Stuart Field. Professor Knight’s research interests are in the field of laser spectroscopy and environmental science. When he’s not in front of a computer, you can find Randy hiking, sea kayaking, playing the piano, or spending time with his wife Sally and their six cats.